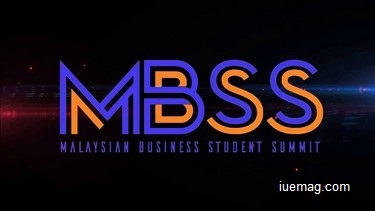 Malaysian Business Student Summit (MBSS) is an annual prestigious event organized by University of Malaya Business Club since the year of 2012. MBSS is a 4 days 3 nights summit that takes place annually at University of Malaya for all undergraduates around the globe, and is currently in its 5th year running since its inception. This summit mainly targets local and international undergraduates with any fields of studies in Malaysia as well as Southeast Asia. More than 200 students, outstanding speakers, and reputable panellists converge to exchange ideas and widen their network. For the upcoming MBSS 2016, dealing with the theme of "Innovation, Entrepreneurship and Synergism (I.E.S)", participants will get the opportunity to discuss and discover the issues related to I.E.S. The highlighted events of MBSS 2016 include Amazing Race, Summit Banquet, Symposium, Keynote Speakers and Business Simulation. Through this summit, participants are able to treat it as a platform to expand their network with students of all walks of life and business leaders. They will also gain insights into business professions, have inspiration to become a well-rounded workforce, as well as enhance their soft skills that are necessary in the real business world. Malaysian Business Student Summit 2016 will be held on the 25th – 28th January 2016. For more details, do visit their official website at http://mbss2016.wix.com/mbss2016.